Why ShipStation for Live Rates? ShipStation is a leading software that enables you to automatically import, manage, and ship your online orders. It supports the most popular channels in the eComemrce industry such as Amazon, Ebay, Etsy and a full list of partners here. It excels with advanced integration with the tools you already work with. Such as Magento, Canada Post, FedEx, UPS etc. Shipstation integrate very well with those carriers, as they are at the core of their Business. Reviewing ShipStation module for Magento their official module. Linking multiple Carriers to your ShipStation account. Orders placed in Magento shows in ShipStation account for you to link them to the correct Carriers they will ship out with. Print the Labels and have the shipment picked up. In Magento you’re still facing the same dilemma, how to get same Rates as in ShipStation but to your customers in Cart + Checkout? At the moment Magento admins are still using 3rd party Shipping Method integration or Table Rates in order to show some Shipping Rates. What if ShipStation was the Shipping Method ? Yes we built our own Shipping Extension which is allows ShipStation as a Shipping Method. You are able to show those same Live Rates on your Magento Store now! We’re not talking about the extension features here which you can read and acquire on Magento Connect, or directly on our Extension store we’re talking about how it can definitely help your business out on the long-run. In Canada for example. There’s not one extension that we’ve tested which was able to work exactly as advertised. Collinsharper Canada Post module reviewed – Failed with Live Rate, consistency and poor support. Demac Media Canada Post module reviewed – Technically failed out of the box to work, no support at all. 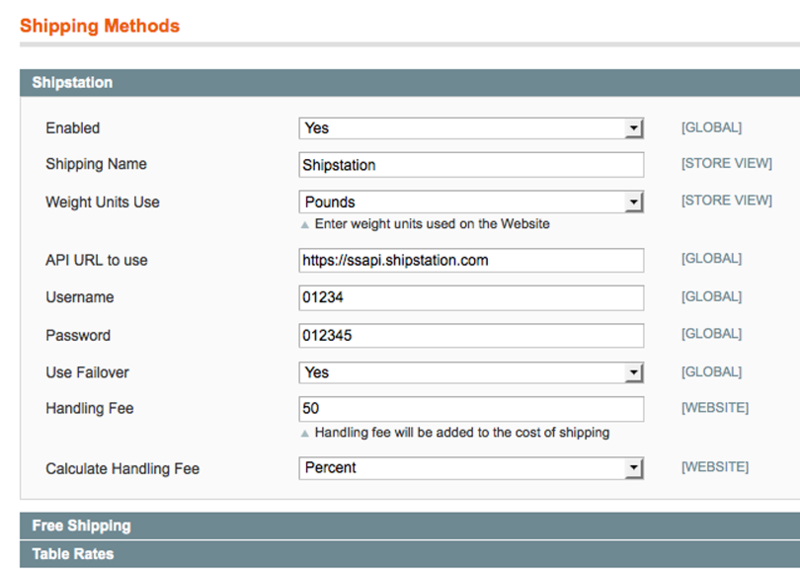 Get the Extension “ShipStation as Shipping Method + Live Rates” for your Magento store. You got yourself the same Rates displaying on your Magento store from your ShipStation account at this point.